Roughnecks games are fun for the whole family! This year, families and individuals can enjoy the Rough House excitement in our brand new alcohol-free zone located in section 218! Click here to see tickets. 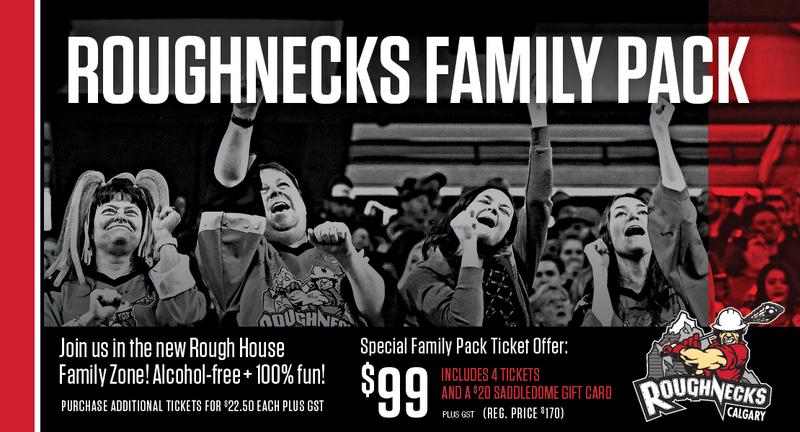 $99 +GST includes 4 Roughnecks Family Zone tickets and a $20 Saddledome gift card!